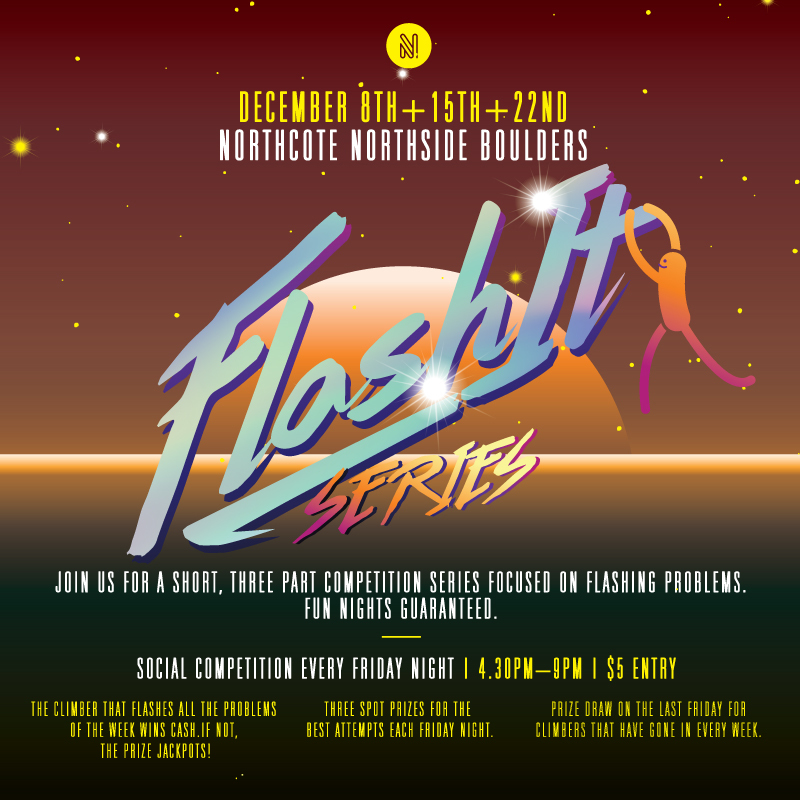 FLASH IT SERIES : DECEMBER 22ND AT NORTHCOTE NORTHSIDE BOULDERS | 4.30 – 9pm | $5 ENTRY | Join us next Friday for the LAST one of the series. We need to see you to flash the problems with style. Fun nights guaranteed before your Xmas break. FLASHY PRIZES await you! – The climber that flashes all the problems of the week wins cash. If not, the prize jackpots. – Three spot prizes for the best attempts each Friday night. – Prize draw on the last Friday for climbers that have gone in every week. – You must get another climber/staff to witness your send and sign off on it.